Add a touch of colour to your nursery or playroom with this cute and colourful felt bunting. There’s something about its rainbow charm that’s made me want to buy it, even though I’m planning a soft blue theme for my baby boy’s nursery. Made in the UK by Charmaine of Little Nest Box, each banner is handmade, and can be completely customised. 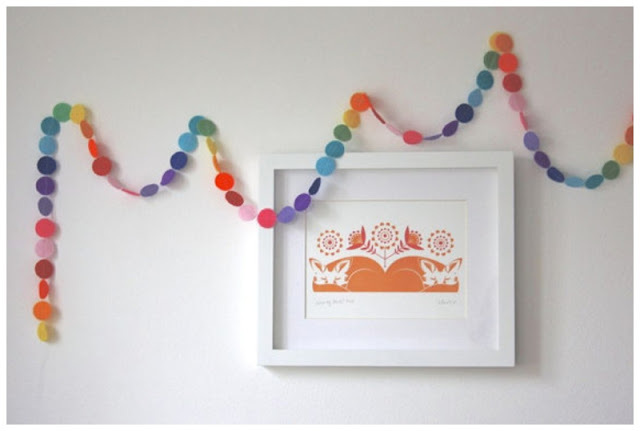 Charmaine also creates pretty crib mobiles, so it’s well worth checking out her site!